Active Derbyshire works with organisations and people from across sectors to make physical activity the norm for our communities. One of the ways to highlight the fantastic work being done across the city and county is to celebrate achievements and we're doing this through the Towards an active Derbyshire Awards. The awards are an opportunity for partners, communities and organisations to come together to show how important physical activity is. Just as vital as the work within our communities, is the work being done with our children and young people to celebrate physical activity in schools. 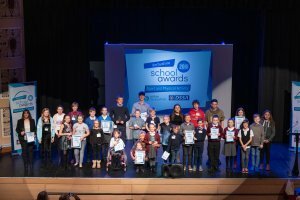 The Derbyshire School Sports and Physical Activity Awards celebrate our talented young people both in sports and in helping others to be physically active.